Here’s a unique cultural experience beneath the palms: this little island is split in two by an imaginary line that creates Dutch-speaking St Maarten and French-speaking St. Martin. Rent a car and you can sample authentic croissants a la plage for breakfast and imported Gouda on the beach for lunch. 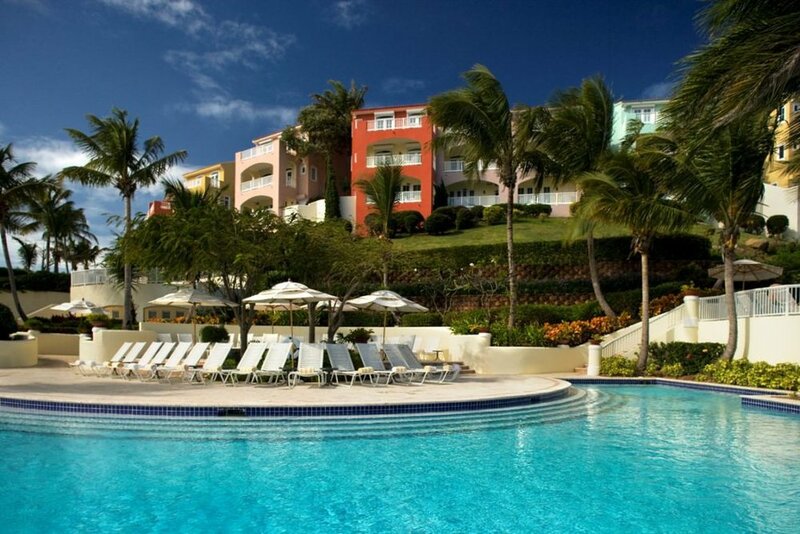 Where to Stay: On the Dutch side of the island, the Westin St Maarten is the place to stay with kids, with the largest fresh water pool on the island, Camp Scallywag for daytime escapades, as well as all the beach watersports fun they can handle. Petite “St Barths” feel like a slice of France on the Caribbean Sea with French cuisine and language infusing the beach scene here with a certain savoir faire. The French have laid claimed the island since 1877, but you’ll also hear English throughout your stay. Head to Lorient Beach for the friendliest family scene on the tres chic island. Where to stay: The most kid-friendly spot on St. Bart's is the full-service resort, Hotel Guanahani & Spawhich features private suites and cottages (14 with private pools) and two separate kids’ programs. The largest of the Netherlands Antilles, known as the ABC islands (Aruba and Bonaire are the other two), the island's capital, Willemstad, is a UNESCO World Heritage Site offering a colorful trip through colonial history and architecture. Where to stay:Sunscape Curaçao takes the family resort prize as the only all-inclusive property on the island, meaning not only all of your food and drinks are taken care of with one-stop shopping, but also that the excellent Explorer’s kids club and Core teen center are included in the price as well. Another option to hear Dutch is on this sunny, wind-swept island, an independent entity of the Netherlands. Although you’ll see Dutch architecture in the capital city of Oranjestad, listen closely while you're here and you’ll also hear Arawak, Spanish, and the local lingo, Papiamentu. Global Caribbean indeed! Where to stay:Hyatt Regency Aruba Resort & Casino is popular for it’s kids’s program and numerous family-friendly amenities and activities including a three-level pool complex with a cascading waterfall and two-story water-slide. Rich in Spanish language culture and heritage, yet a Commonwealth of the United States, which means you get a salsa beat and the rich historic atmosphere of Old San Juan, without having to exchange your US dollars or even bring a passport. Kids will love the old Spanish fort of El Morro and it’s grassy slopes where kite-flying is a must. Where to Stay: In addition to six pools and 500 landscaped acres on a cliff overlooking the turquoise sea, the family-friendly El Conquistador Resort also features Coquí Water Park and Palomino Island, the resort's private island which offers everything from snorkeling to horseback riding. This Latin Caribbean nation is a great place to practice your Spanish while enjoying beautiful beaches and the all-inclusive resorts the island is known for (since the DR, as it’s referred to, has the most resort hotel rooms of any island in the Carribbean, you can also expect to hear English spoke in most hotels, too). Head to Santo Domingo’s cobblestone streets to walk in the historic footsteps of explorers such as Columbus and Ponce de Leon. Where to Stay: At Barceló Bávaro Palace Deluxe, pint-size pirates can tame the high seas at Pirate’s Cove – a waterpark complete with a themed pool, swashbuckling pirate ship with water slides, and a one-of-a-kind wave pool. There’s also a teen nightclub and an 18-hole mini golf course. Plus, the opportunity to soak up the sun on a beautiful white sand beach, por supuesto.